James Maxey’s stories have appeared in a score of anthologies and magazines. The best of his short fiction is now available in the collection There is No Wheel. He continues to write about ghosts and pirates, also spaceships, monkeys, and circus freaks and other geeky delights. 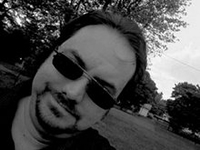 You can keep up with the author at James Maxey’s blog. Bitterwood (Dragon Age) — (2007-2013) Tornado of Sparks and Dawn of Dragons are prequels. Publisher: Bitterwood has spent the past twenty years hunting down dragons, one at a time. But he is getting old and the hate that he has carried in his heart since a group of dragon-soldiers killed his family is beginning to fade. When he kills the royal prince dragon, the king decides the only retribution is genocide of the human race. Bitterwood is forced to enter the Free City, the grand trap designed to eradicate mankind, with thousands of others. Can he lead from within, or can a select few dragons unite to stop the king’s madness from becoming reality. 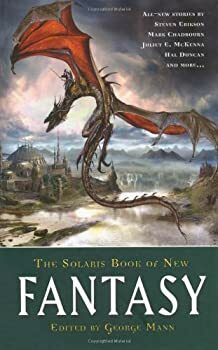 Full of rich characters and drama, this is an amazingly astute vision of our own culture by way of a feudal kingdom where dragons rule, and humans are used as workers or pets. 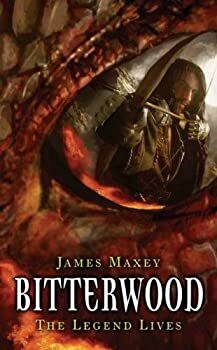 In James Maxey's Bitterwood, dragons rule the planet and humans are their slaves. These dragons are not your average fantasy dragons because they have formed a community and culture and are ruled by a king. Not your typical fire-breathing, treasure hoarding dragon, right? The premise for Bitterwood is good, but the writing just felt uneven. There were times when the characters felt shallow and too contrived and the storyline seemed to be out of control — too many highs and lows. Maxey does a good job of explaining events after they have happened, so that you get a larger perspective. I just didn't enjoy the characters themselves very much. They didn't come alive for me because too often their reactions felt canned — like they had to do something a certain way because that's the type of character they are. Crossed Genres, a magazine published online, digitally and in print, has a unique approach to genre fiction: every month it chooses a genre and requires that the stories it publishes that month combine the chosen genre with some aspect of science fiction or fantasy. 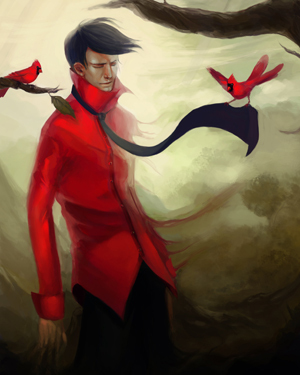 Issue 27 offers a mash-up of science fiction and fantasy with tragedy. Surprisingly, none of the five short stories uses the traditional tragic element of a hero with a fatal flaw, which would seem tailor-made for SF and fantasy. Instead, the writers simply write stories that end in sadness. The Dragon APocalypse — (2012) Publisher: Greatshadow is the primal dragon of fire, an elemental evil whose malign intelligence spies upon mankind through every candle flame, waiting to devour any careless victim he can claim. The Church of the Book has assembled a team of twelve battle-hardened adventurers to slay the dragon once and for all. But tensions run high between the leaders of the team who view the mission as a holy duty and the super-powered mercenaries who add power to their ranks, who view the mission primarily as a chance to claim Greatshadow’s vast treasure trove. If the warriors fail to slay the beast, will they doom mankind to death by fire? Nobody Gets the Girl — (2003) Publisher: Presented by legendary comic book author Jim Shooter, this book is a fast-paced science fiction novel with all the flair and fun of a comic book. Burn Baby Burn: A Supervillain Novel (WHOOSH! BAM! POW!) — (2011) Publisher: Pit Geek and Sundancer are supervillains in an age when superheroes have been outlawed. After years in hiding, the two team up for a series of spectacular bank robberies that threatens to disrupt the world economy. 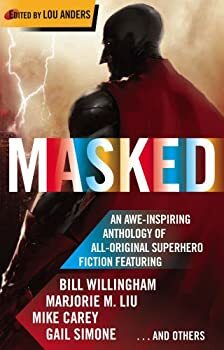 When a new government sanctioned team of heroes known as the Covenant appears to halt their crime wave, Sundancer and Pit Geek are forced to take desperate measures to retain their freedom. When they finally run out of places to hide, can the world survive when Sundancer unleashes the full force of her solar powers? Burn Baby Burn follows the events of Nobody Gets the Girl. The novel stands alone if you haven’t read Nobody, but does contain spoilers as the characters discuss changes in the world following the events of the earlier novel. There is No Wheel — (2011) Publisher: Short stories by the author of the Dragon Age Trilogy and the cult-hit, Nobody Gets The Girl. A shark swims through a kitchen. A biology teacher dumps a dead angel onto his grandmother’s kitchen table. A billion bees swarm the Empire State Building. In an empty attic, a teapot filled with lizards reaches a boil. And everything is understood when a small town sheriff bites into an eyeball. These are the scenes that draw you into the world of James Maxey. Good luck on finding your way back out. CLICK HERE FOR MORE BY JAMES MAXEY.